Family vacations live long in the memories of your partner, your children and yourself. They’re occasions to escape the pressure and stress of your day-to-day lives to be your best selves in an exciting, luxurious or exotic environment. But they can be expensive, which can mean that much of the money you save each year is spent on treating your family to some time abroad. This guide aims to help you reduce all those costs by taking each significant expenditure and showing you how preparing ahead will save you cash. First and foremost, you’ll be well aware that flights booked in advance tend to be cheaper than those booked close to your date of travel. That’s because there are more seats available, and the airlines know it’s less of an urgent booking. Use flight price comparison websites and consider flying through alternative airports on connection flights in order to maximize the savings you’ll make by booking early. Renting a vehicle on arrival to your chosen destination is always going to be more expensive than organizing and getting a quote in advance. Many online international car rental providers offer competitive quotes and a number of different deals that you’ll be able to browse without pressure if you take the time to book in advance. The same rule that applies to flights also applies to hotels and resorts. As soon as you’ve got your dates and destination agreed upon, start searching for deals. Remember that those hotels or resorts that offer free breakfast, lunch or dinner included will save you and your family a hefty amount of money if you’re vacationing for longer than a few days – so it’s worth taking that into consideration. There are various ways to save money when spending abroad. If you use your normal domestic bank card for international payments and withdraws, for instance, you’re likely to experience high fees that add up over the course of a vacation. Instead, organize a no-fees pre-paid card in advance, and load it with enough cash to last your whole trip, so that each withdrawal isn’t costing you a few extra dollars in commissions and exchange fees. In most destinations, you’ll be looking to book yourself into some activities, performances or tours. If that’s the case, simply purchasing your tickets in advance online will both save you the stress of working it out when you’re in your vacation destination, and will likely save you money – as digital bookings are always cheaper than physical ones conducted at the last minute. This tip is less about booking in advance and more about doing your research. If you know where you’re going a month or two before you fly, you’ll be able to scout out the best-value and healthiest family restaurants to visit while you’re away, which means you’ll never have to overpay for unsatisfactory meals or service while you vacation with your family. 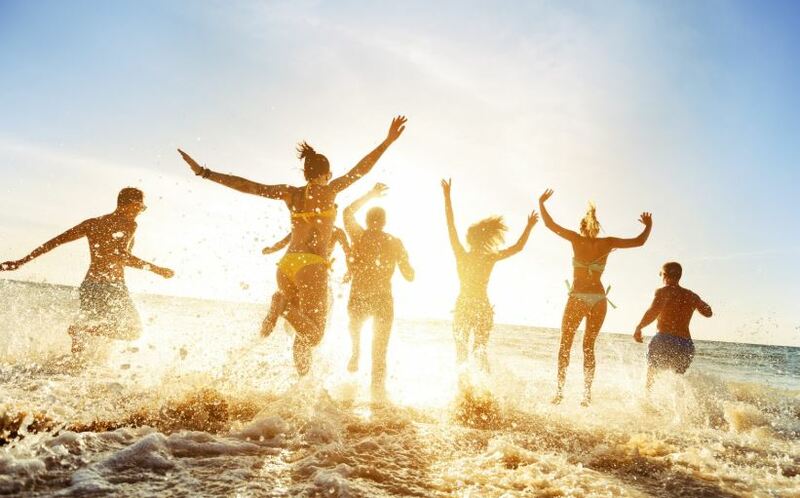 Organizing trips in advance can save you literally hundreds of dollars – so use the above pointers to extract the best value out of your next family vacation.